Prepare Seasoned Mashed Potatoes recipe according to directions. Meanwhile, in a large bowl combine the turkey, oatmeal, onion, garlic, pepper, zucchini, cheese, garlic powder, onion powder, and salt-free seasoning. Mix well and shape into patties about the size of the palm of your hand. 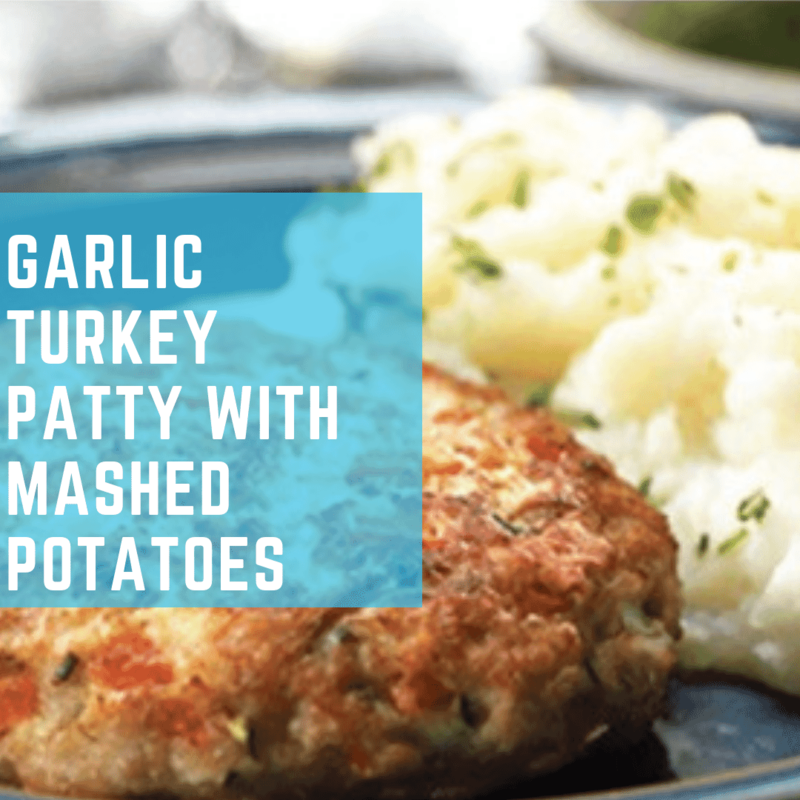 Serve turkey patties with seasoned mashed potatoes. In a large saucepan combine the potato pieces and just enough water to cover them. Bring to a boil. Cover. Reduce heat and simmer for 12 to 15 minutes or until potatoes are tender. Drain the water and add chicken broth, milk, salt, and salt-free seasoning. Mash with a potato masher until creamy and smooth. Top each serving with low-fat sour cream and parsley.